Jessica Bastin has been selected to serve as president of the Indiana Water Environment Association (IWEA) for a one-year term. She is one of the youngest presidents ever elected. As president, Jessica plans to initiate a new outreach program geared toward public officials and kick off a public awareness campaign to inform the public about the value of preserving and protecting our water environment. Clark Dietz is a multi-disciplined consulting engineering firm operating from offices in Indiana, Illinois, and Wisconsin. The firm’s primary areas of service include transportation, civil and environmental infrastructure, electrical, mechanical, and structural engineering. 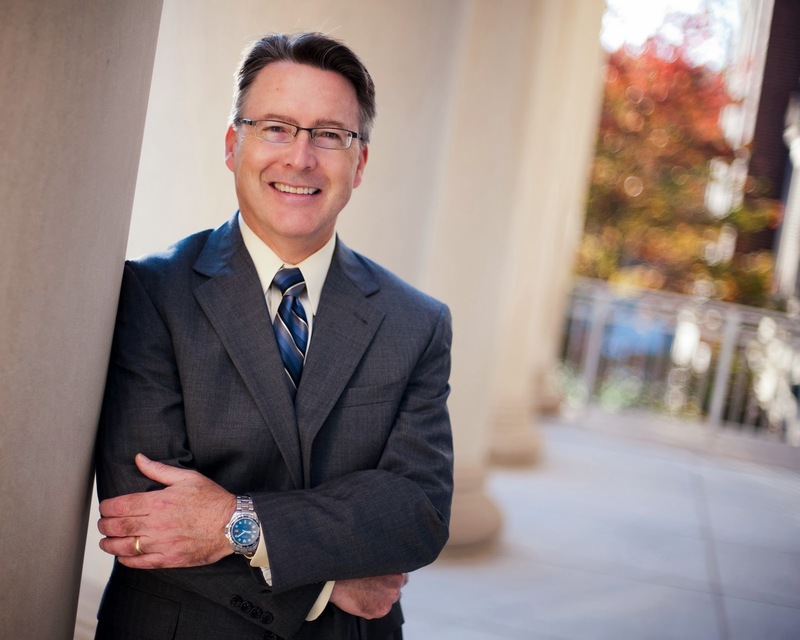 For over 60 years, Clark Dietz has served local, municipal, and state level clients. More information can be found at www.clarkdietz.com. Draper Aden Associates has announced the acquisition of C. T. Clayton, Sr., PE, Inc., of Coats, NC. The acquisition brings together two established civil engineering firms to better serve clients on a regional basis. Operating as the firm’s fifth location, it will immediately begin offering an expanded slate of services as an office of Draper Aden Associates. Established in 2000, C. T. Clayton, Sr., P.E. Inc. is known for expertise in site planning, utilities design, waste resource engineering, geotechnical engineering, and environmental services throughout central and eastern North Carolina. Draper Aden Associates, founded in 1972, is a comprehensive civil engineering, environmental, and surveying firm with offices in Blacksburg, Charlottesville, Hampton Roads, and Richmond, VA. For more information, visit our web site at www.daa.com. SME (Society of Manufacturing Engineers) Education Foundation announced the school as the recipient of machining technology worth more than $68,000. Haas Automation will provide the school’s engineering program with a Haas TM-1P CNC vertical mill including six control simulator modules. Starting with just 22 students in 2003, the Academy of Engineering at East Lake High School has since enrolled over 600 students, and their wait list averages 100 students a year. Graduates have an average weighted GPA of 4.3, and over 90 percent go on to pursue post-secondary degrees, with 71 percent declaring engineering as their major. Their curriculum, which emphasizes hands-on experience, was developed using the principles outlined in Project Lead The Way’s “Pathway to Engineering.” In 2008, the Academy was recognized by Project Lead The Way as a top 10 national high school. In 2009, the Pinellas County Board of Education identified the Academy as a Center for Excellence. Earlier in 2013, the SME Education Foundation designated the Academy as a PRIME school, bringing national attention to the school’s outstanding manufacturing program. The vertical mill will enable East Lake students to become proficient with current industry machining and CNC standard practices. To operate the CNC mill, students will learn to translate academic theory into practice using mathematics, especially trigonometry and geometry. CNC machinery also requires students to have basic computer coding skills. Eventually, they will also be able to compete for paid internships that are only available to students experienced with CNC machines. By allowing the students to create their own parts such as wheels, gears, and sprockets, the Haas CNC vertical mill will also allow the Academy to save thousands of dollars each year. Gene Haas founded Haas Automation in 1983 to manufacture economical and reliable machine tools. Haas manufactures four major product lines: vertical machining centers (VMCs), horizontal machining centers (HMCs), CNC lathes and rotary tables, and a number of large five-axis and specialty machines. The company’s 1.3 million square foot facility in Oxnard, California, is the largest machine tool manufacturing operation in the United States. The SME Education Foundation is committed to inspiring, supporting, and preparing the next generation of manufacturing engineers and technologists. Created by SME in 1979, the SME Education Foundation has provided more than $33 million in grants, scholarships, and awards since 1980 through its partnerships with corporations, organizations, foundations, and individual donors. To learn more, visit the SME Education Foundation at smeef.org. The Virginia Tech Board of Visitors has appointed Timothy Sands as Virginia Tech’s 16th president, effective June 1, 2014. Sands will succeed Charles Steger, who steps down when Sands assumes office. Sands, 55, currently serves as executive vice president for academic affairs and provost at Purdue University. He served as Purdue’s acting president during the fall semester of 2012. He currently holds the position of Basil S. Turner Professor of Engineering in Purdue’s School of Materials Engineering and School of Electrical and Computer Engineering. As Purdue’s chief academic officer, Sands led efforts to elevate student success, resulting in the highest first-to-second year retention and four-year graduation rates in Purdue’s history. He initiated a move toward full-year use of facilities that will enhance opportunities for student internships while allowing students to maintain academic progress during the summer. Sands also led the development of the university’s first comprehensive assessment of all degree-granting programs. This Academic Program Assessment is structured to support data-driven decisions for investment and reorganization. Sands launched Purdue’s online teaching and learning platform known as Purdue NExT, a modular approach that emphasizes interactive learning for advanced undergraduate and beginning graduate-level courses. NExT focuses on creating computation-rich and simulation-rich learning environments that cannot be duplicated in the traditional classroom setting. After gaining his doctoral degree, Sands began his professional career in 1984 at the Lawrence Berkeley Laboratory and later became an industry fellow at the lab doing advanced materials research. He spent nine years as a member of the technical staff and as a research group director with Bell Communications Research (Bellcore) in Red Bank, N.J. He returned to his alma mater, the University of California, Berkeley, in 1993 as a professor in the Department of Materials Science and Engineering. He later served Berkeley in leadership roles including executive committee chair of the Applied Science and Technology Graduate Group and the director of the Integrated Materials Laboratory. He joined Purdue University in 2002 as the Basil S. Turner Professor of Engineering and later became director of the university’s Birck Nanotechnology Center, an interdisciplinary center encompassing 12 academic disciplines. He became Purdue’s chief academic officer in 2010. Sands holds a bachelor’s degree in engineering physics (1980) and master’s degree and Ph.D. in materials science and engineering, all from the University of California, Berkeley. He has published more than 250 papers and has been granted 16 patents in the areas of metal/semiconductor contacts, heteroepitaxy, thermoelectric materials, ferroelectric and piezoelectric materials and devices, semiconductor nanostructures, laser processing and heterogeneous integration. He is a Fellow of the Institute of Electrical and Electronics Engineers (IEEE), the Materials Research Society (MRS), and a charter fellow of the National Academy of Inventors (NAI). In 2001 he served as a visiting professor at the Interuniversity Microelectronics Center (IMEC) and the Faculty of Engineering of the Katholieke Universiteit, Leuven, Belgium. Sands’ wife, Laura Sands, is the Katherine Birck Professor in the School of Nursing at Purdue. Her research focuses on optimizing care pathways for older adults. They have four children —Amanda, K.C., and Kathryn, all of whom graduated from Purdue, and Haley, a junior at Purdue.